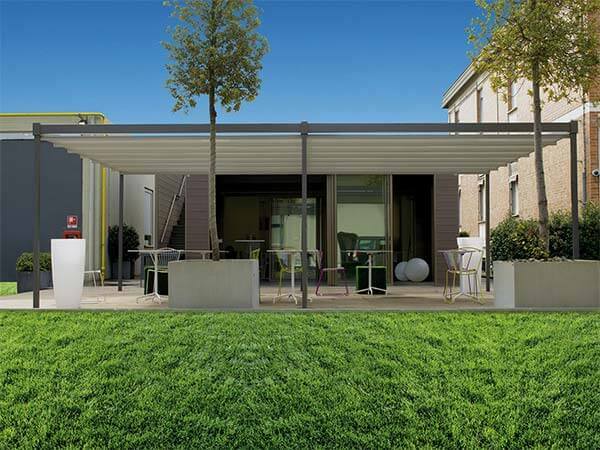 Northwest Exteriors offers a full line of Corradi Pergotenda® retractable roof systems with many innovative designs of aluminum and wood fixtures. 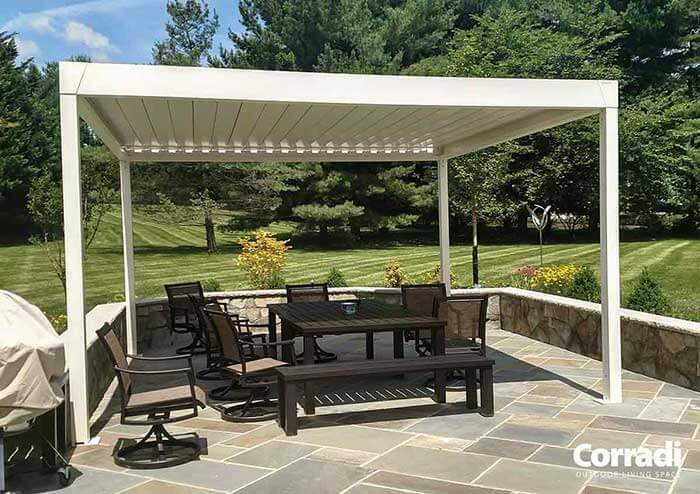 These products are not only used for backyard purposes, but can be accommodated to keep your restaurant or business patio shady and safe from harsh weather conditions to provide the best experience for your clients. 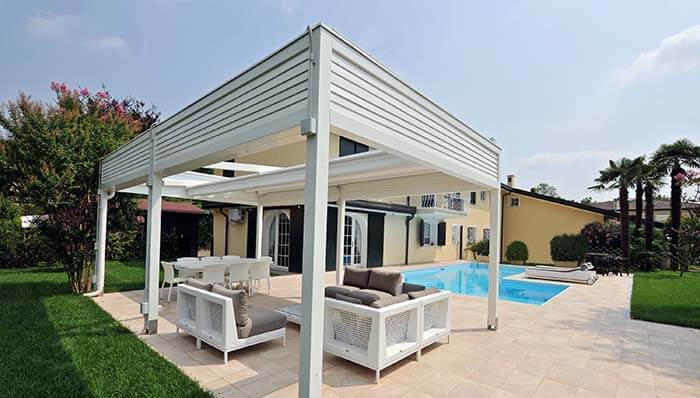 The Aluminum System and Wood System consists of several different options to best exceed your expectations. Iridium is the classic Pergotenda® design that comes with a variety of sizes and styles to choose from. 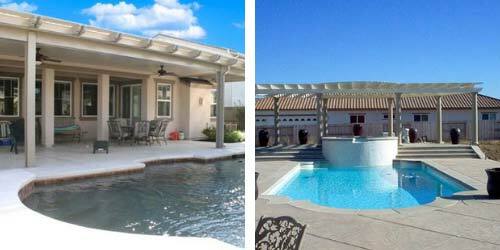 Millenium is known as a contemporary architectural setting with a flush front and unique architecture. 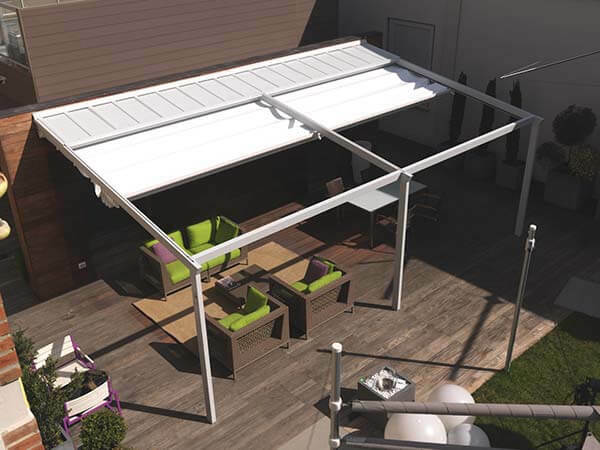 B Space is the largest Pergotenda® design and is anchored to a supporting wall and even provides full coverage from all weather conditions. 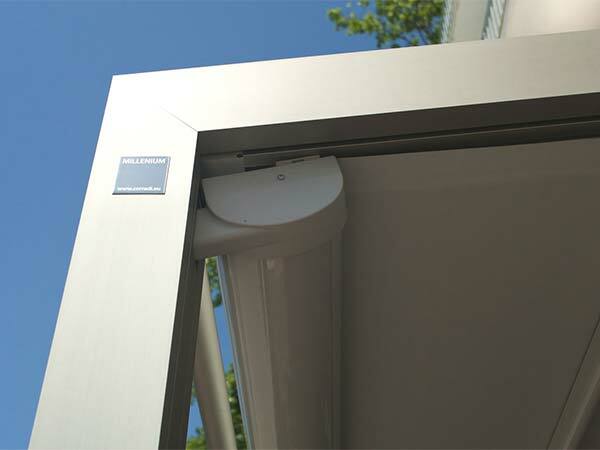 Drop screens and side gabble are offered as well for full enclosure. Kubo is versatile and is available in either free standing or a wall mount, as it is designed to cover large areas. 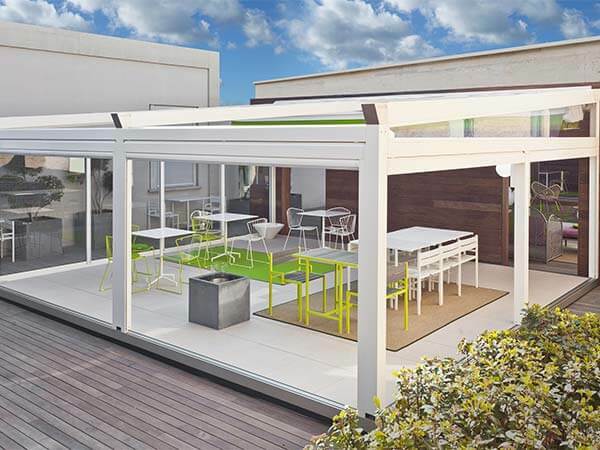 Exyl is known as the most economical Pergotenda® design and can complement any outdoor space. 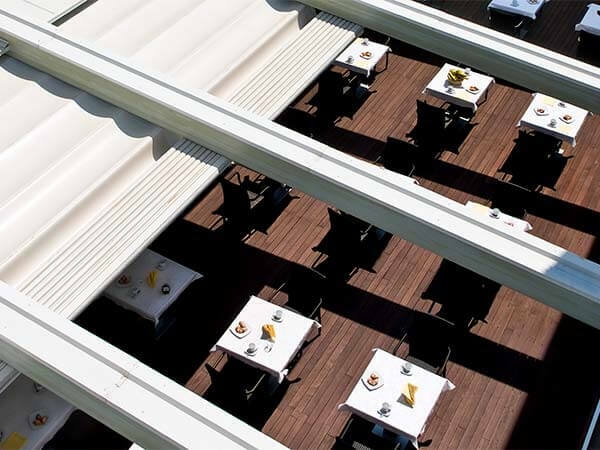 Impact is the last aluminum design offered by Corradis’ Pergotenda® retractable roof systems and can be used with existing structures or preexisting pergolas. 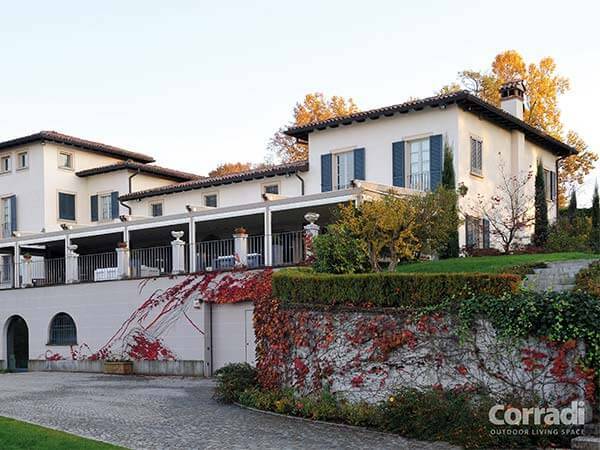 PT 45 is the most traditional style for the wood Pergotenda® designs and comes in a variety of colors and fabrics. 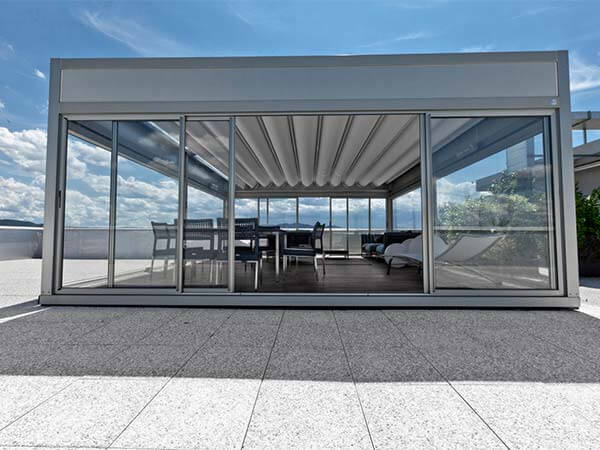 PT 60 is a large, spacious structure that can be wall mounted and is best for family get togethers, parties, and big patios. 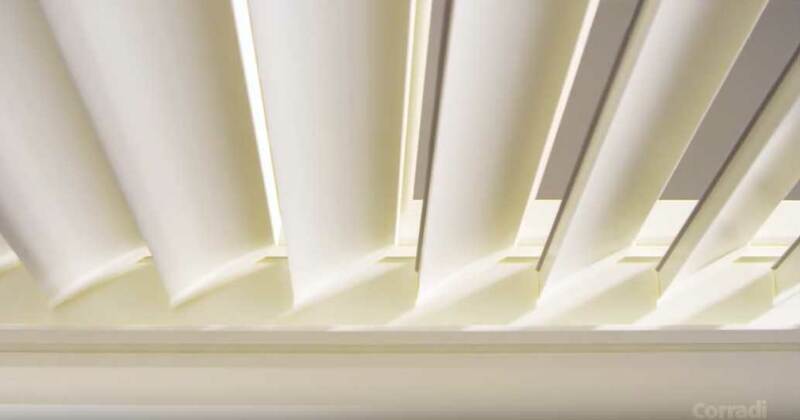 PT 100 is a very relaxing structure that focuses on contemporary design and can be free standing or wall mounted. 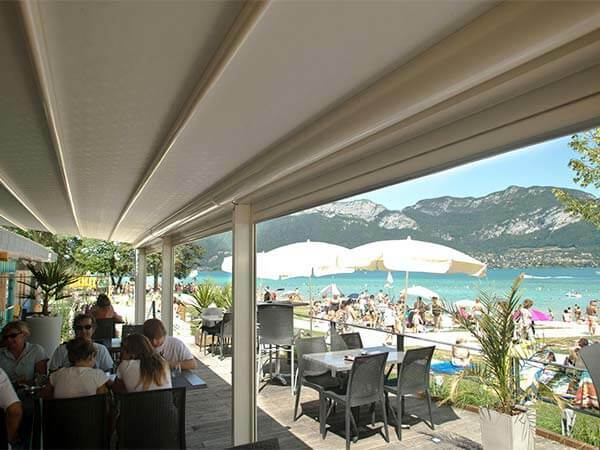 Arko is a simple, yet most unique wood structure offered by the Pergotenda® retractable roof systems and not only is retractable, but is the only system that does not need pillar support. 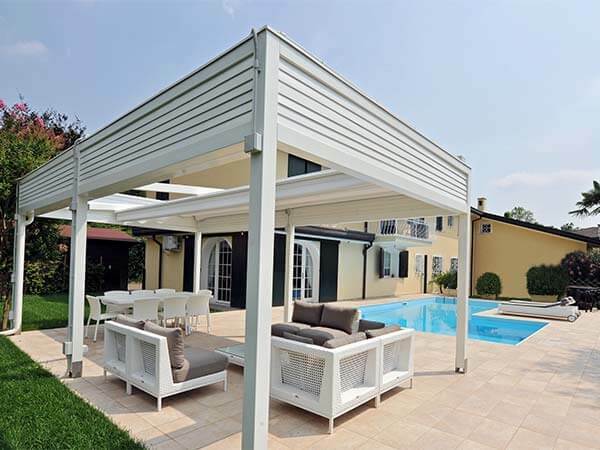 Each option is fully equipped by our team here at Northwest Exteriors and we can help you choose the best design and style for you. 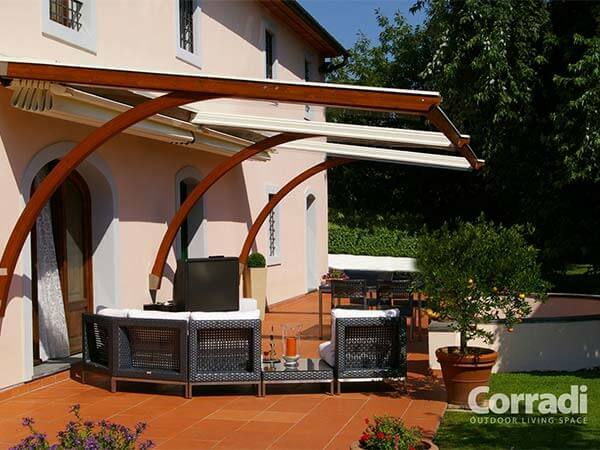 Corradi patio covers not only has 10 different systems to choose from, but was created to fit anyone’s home or business. 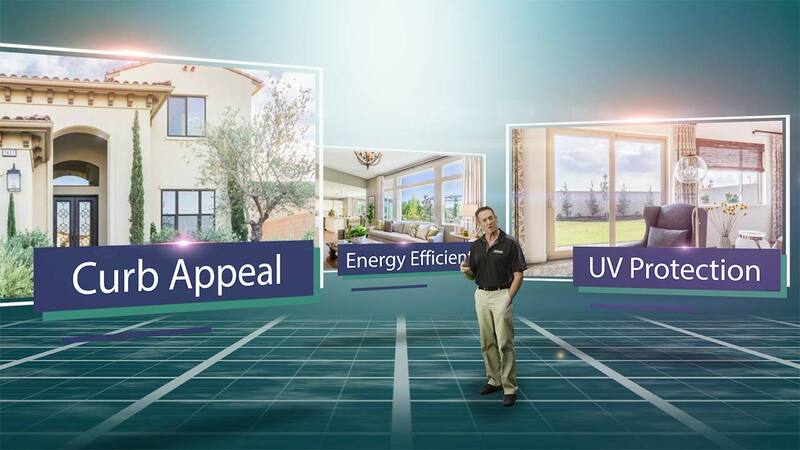 Our company’s highly trusted installers will be there to provide honest and reliable information when choosing the best fit for you.